Reduce sound from fans in your hydroponics system with these high quality silencers. Complete set-up with carbon filters and extraction fans to help you to achieve strong airflow for your plants and getting the most out of your grow room system. Red Scorpion Filters have been created from the highest quality virgin mined carbon giving a premium product. The virgin Australian RC412 carbon is machine packed to ensure a stable and high quality product. Filter stand one size fits all carbon filters. 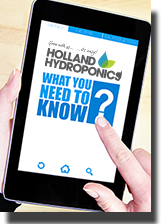 Hydroponic extraction systems can be noisy. These silencers can be used to reduce the noise output of the fan, and works across all frequencies of sound to get rid of those unwanted noises.